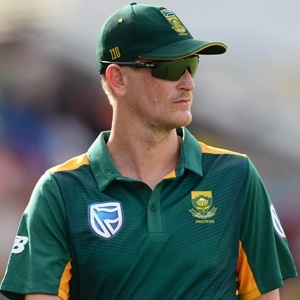 Cape Town - Chris Morris has been out of action since the Proteas were in England with a back problem, but he looks set to make a long-awaited return for the Titans in Wednesday's RAM SLAM T20 Challenge match against the Lions in Johannesburg. The 30-year-old allrounder, one of the country's highest paid players due to his lucrative IPL deal with the Delhi Daredevils, played in the third Test against England at the Oval that started on July 27 this year. He has not played since. Despite Morris's absence, the Titans have been in devastating form in the domestic T20 competition and they are the outright favourites to lift the title. For Morris, though, there is also the matter of trying to play his way back to match fitness before the start of a bumper international season for the Proteas. South Africa take on Zimbabwe in Port Elizabeth in a four-day Boxing Day Test before they host India in three Test matches, six ODIs and three T20Is. Play on Wednesday starts at 18:00.